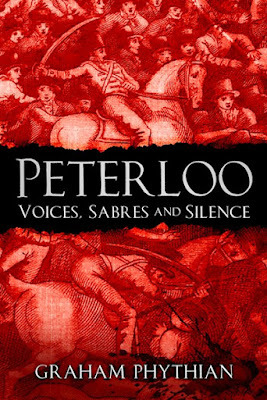 Now, you can never have enough books on Peterloo, which brings me to the new one written by Graham Phythian, called simply Peterloo and published today. According to the History Press who have published the book "a peaceful demonstration of some 60,000 workers and reformers was brutally dispersed by sabre-wielding cavalry, resulting in at least fifteen dead and over six hundred injured. Within days the slaughter was named ‘Peter-loo’, as an ironic reference to the battleground of Waterloo. 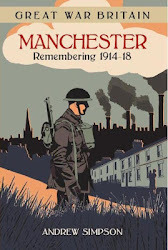 Now the subject of a major film, this highly detailed yet readable narrative, based almost entirely on eyewitness reports and contemporary documents, brings the events of that terrible day vividly to life. In a world in which the legitimacy of facts is in constant jeopardy from media and authoritarian bias, the lessons to be learned from the bloodshed and the tyrannical aftermath are as pertinent today as they were two hundred years ago".